...assuring a HUGE advantage over our competitors. W 200i	447 kW / 600 HP	60,914 lbs! Wirtgen has developed an ultra-precise, proprietary leveling system including a software that has been designed specifically for cold milling machines – LEVEL PRO. The overall system includes the clearly structured LEVEL PRO panel, a controller and several sensors. The graphics-enabled LEVEL PRO panel provides a clear readout of key parameters. Set and actual values for the left and right milling depth as well as slope parameters are clearly shown on the displays as work progresses. In ad-dition, the memory feature is very useful to program, store and invoke set values. When developing the W 200 / W 200 i, particular attention was paid to the well-being of the operating crew. For this reason, the cold milling machine can be fitted with the vacuum cutting system to extract fi ne material particles. Its principle is simple: by creating a negative pressure in the drum housing, the mix of air and water vapor is evacuated and then fed back into the fl ow of milled When developing the W 200 / W 200 i, particular attention was paid to the well-being of the operating crew. For this reason, the cold milling machine can be fitted with the vacuum cutting system to extract fi ne material particles. Its principle is simple: by creating a negative material transported on the conveyor via a hose system. It goes without saying that better air quality and visibility in the working environment of the machine operator and ground crew members signifi cantly improve the working conditions and boost staff performance. Another key innovation is the adjustable speed of the milling drum, which can be set from the operator’s platform. It ensures perfect milling performance levels regardless of conditions and across a wide range of applications. The W 200/W 200i usually runs at the medium milling drum speed. The high speed is chosen for large-scale fine milling jobs. The low speed is selected to achieve maximum milling performance levels at reduced fuel consumption rates per cubic yard of milled material and low cutting tool wear and tear. To sum it all up, customers will quickly benefit from the excellent cost-benefit ratio at maximum productivity levels and high daily production rates. Rhino focuses on precision manufacturing to produce a consistent, high-quality product. Consistent quality maximizes reliability, thereby reducing downtime required for “spot changing” failed cutter bits. Consistent quality provides for even wear, reduced fractures and proper rotation, resulting in an even cutting pattern. Consistent quality provides confidence in knowing that the next bucket of Rhino bits will be as good as the last bucket, every time. From his working platform, the machine operator is always up to date on what is happening behind or underneath the W 200 / W 200i, or on the performance levels of the cold milling machine on its current job. He can view up to six different camera settings of different work areas on the control screen, and additionally has an overview of major parameters related to the current milling job. The control system calculates job parameters automatically based on the input of material density and milling width. It displays information such as the number of trucks loaded, weight and volume of the material milled, and size of the milled area. Controlling and coordinating a cold milling machine often requires the operator to perform many different steps at the same time. WIDRIVE significantly reduces the number of these steps – eliminating no less than 50% of the manual switching operations. WIDRIVE centrally manages the interaction between the key components of the machine: diesel engine, travel, milling drum and conveyor drives, water spray system, 4-fold, full-floating axle system and LEVEL PRO leveling system. WIDRIVE automatically controls and adjusts the engine or conveyor speed, or activates the ISC mode. Relieved of much of his previous workload, the operator can fully focus on what really matters – ensuring that the milling job conforms to highest quality standards. At the end of the day, he reaps the reward of astonishingly low diesel fuel consumption at maximum milling performance. Compact large milling machine that can be equipped with milling drum assemblies of 4.9ft, 6.5ft or 7.2ft working width. Three selectable engine speeds enable a broad range of applications: large-scale surface course rehabilitation, complete pavement removal at full depth, fine milling, and many more. Automatic machine alignment using PTS, intelligent ISC track drive control for maximum traction, and low operating cost due to the WIDRIVE machine management system. The milling machine is equipped with the Wirtgen LEVEL PRO levelling system. 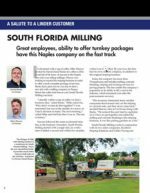 South Florida Milling’s story and growth is featured in LinderLink magazine. Florida’s number one choice in quality asphalt road milling. 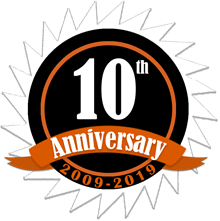 Our experienced professionals, most with at least ten years of asphalt experience, are experts at effective pavement/asphalt milling, cleanup and rock removal. Our concern with keeping our jobs top quality means we follow the best processes with the best equipment. Including road milling, removal, profiling, leveling, rock removal and cleanup. Using our new top quality Wirtgen milling machine, we have a lead on our competitors. Asphalt pavement is not only 100% recyclable but is the most recycled material in the U.S. No road or highway lasts forever. But replacing asphalt road surfaces is cost-effective and environmentally friendly because asphalt is 100% recyclable. Through a process called milling, only the amount of existing roadway needing rehabilitation is removed, allowing a new surface to be applied right over the original construction. 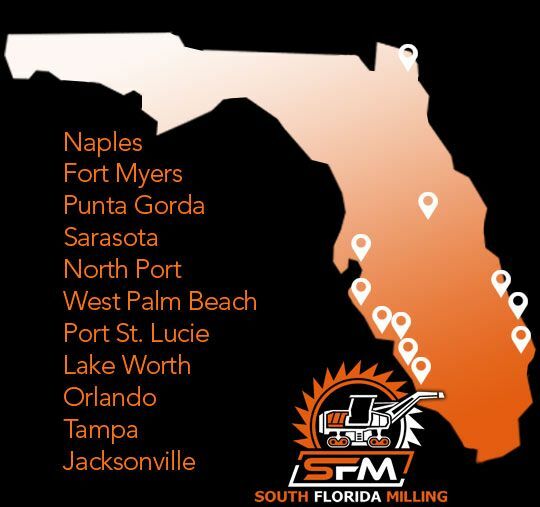 South Florida Milling has the latest equipment necessary to grind off the old pavement, recycle the old material allowing a fresh layer of asphalt without altering the elevation of the roadway. Not only does this speed construction, minimizing disruption to the public, but it provides a safer, smoother road by matching existing curbs and drains. South Florida’s number one asphalt milling, profiling, rock removal and cleanup service company! Copyright South Florida Milling. All rights reserved. Support by RGB Team Web.